University Testing Services offers computer and paper-based tests as well as proctoring for distance learning students. 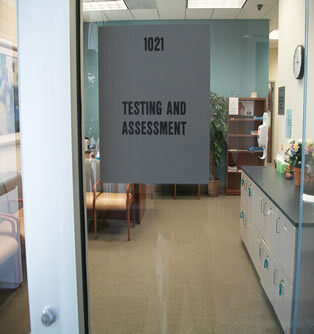 The Testing Center also has accommodations for those testing candidates that have special needs or conditions that require attention. Lockers are provided for individuals to store their personal belongings while testing. University Testing Services is located in DePaolo Hall, (DE on map) room 1021. September through April: 7:30am to 5:00pm Monday through Friday. May through August: Monday through Thursday 7:30am to 5:00pm and Friday 7:30am to 11:30am. Parking is available just off Wagoner Drive in Lot F, Vistors Parking Lot, adjacent to DePaolo Hall. 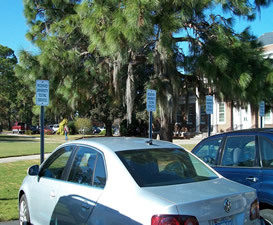 A limited number of parking spaces are designated for University Testing Services patrons. Parking for handicapped individuals is also available.